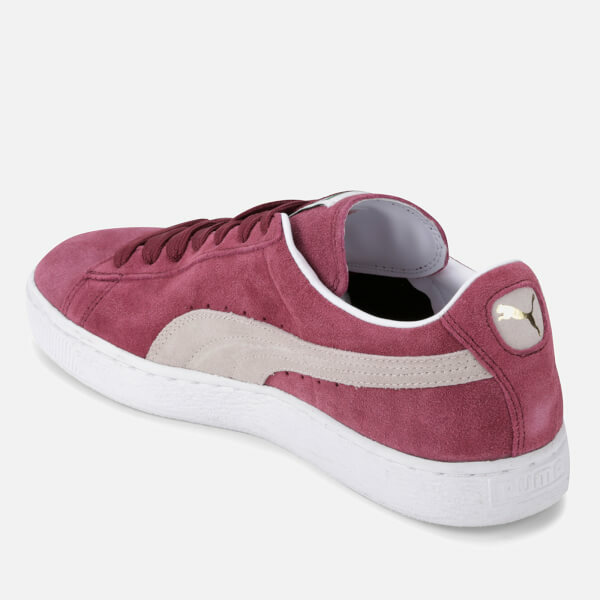 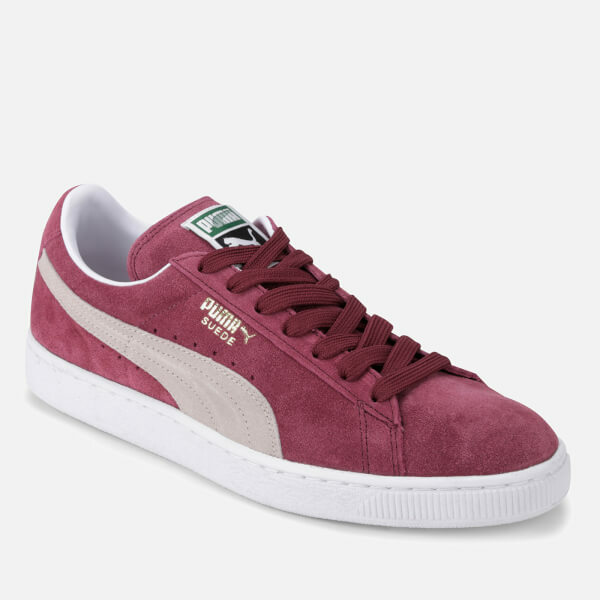 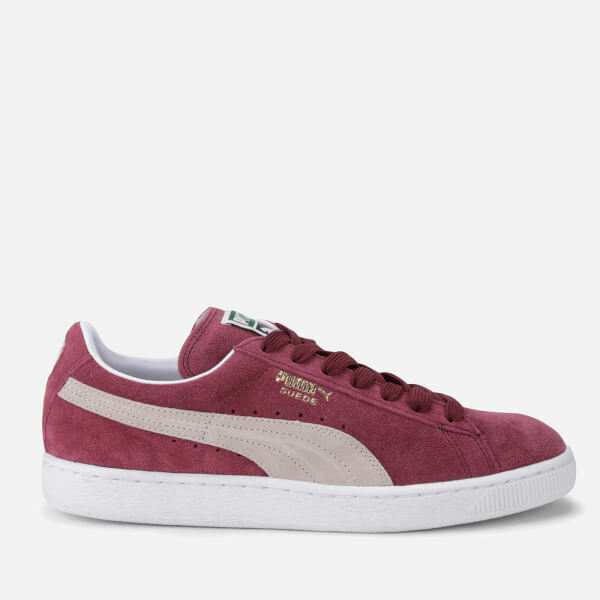 The Puma Men's Suede Classic Trainers in cabernet and white boast a suede upper that's adorned with a trademark Puma formstrip, Puma branding and perforated holes for added breathability. 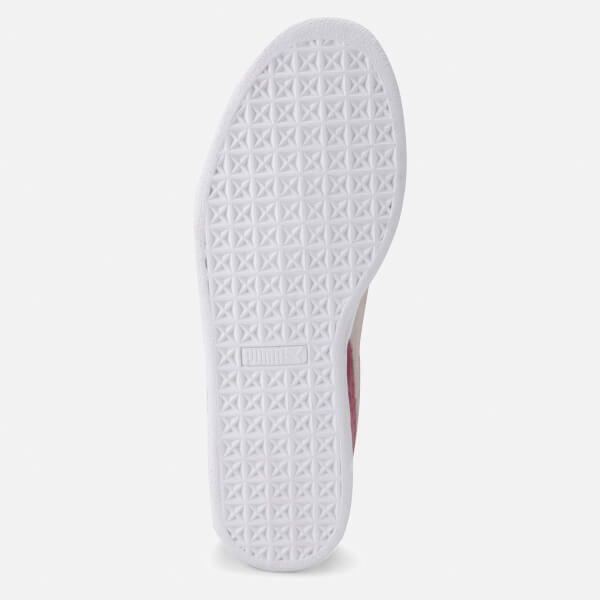 Fastening with a lace-up front, they have a round toe, and are set upon a chunky rubber sole. 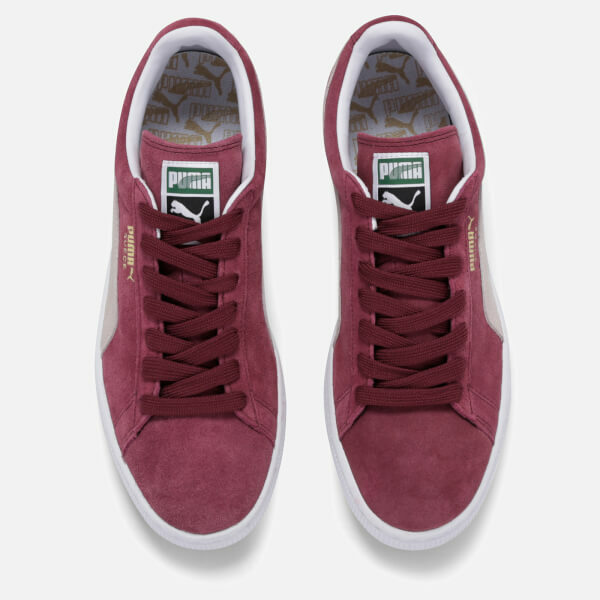 - L.M.